Two more militants were killed in an engagement in the antiterrorist operation (ATO) area. 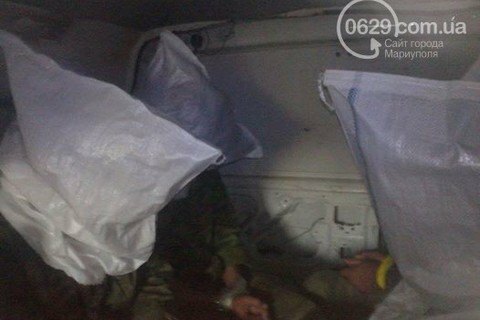 Eight militants of the self-proclaimed Donetsk People's Republic (DPR) have been captured near Shyrokyne, a spokesman for the Mariupol sector, Vitaliy Kyrylov, has told the 0629 website. At about 1 p.m. yesterday, the Ukrainian troops discovered 10 militants building a position 2.5 km from the ATO troops' position. Two militants were killed in an engagement and eight more captured. The detained said they are members of the so-called 9th DPR regiment and live on the occupied territory. Investigation is under way and the captured are being identified. The capture has probably resulted in a sharp increase in fire attacks in the Mariupol sector. Yesterday the militants opened fire 46 times.